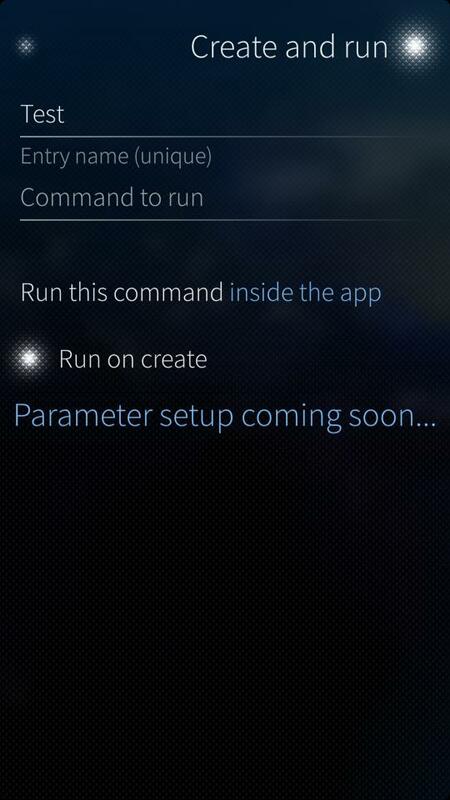 ShellEx is the GUI shell executor for Sailfish OS. -run, save, label, sort and edit commands. 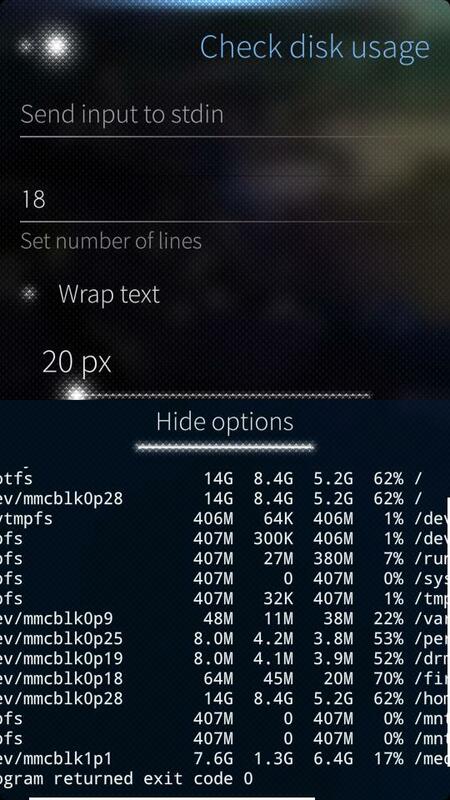 -you can run the commands in Fingerterm, inside the app with output page. -In app script support: setup parameters, GUI for giving parameters, default parameters. Note that careless commands might lead to data loss. Be aware that you and only you will be responsible of how you use this app. For running commands as root (requires developer mode), I suggest installing sudo from mer-tools repository and adding privileges individually for each command you need. I do not recommend using nopasswd: all. Using "devel-su -c" works fine when ran in Fingerterm. Ok, a got it with 'nemo ALL=(ALL) NOPASSWD: /bin/mount' in sudoers file. Any better idea? @nas - I'm also using it to mount sd card to Android, but having trouble getting the right sudo syntax. Closest i got so far is output from sudo about no tty and no askpass... I can't remember what I did last time. Can we have a tablet version (i486) please? on 1.0.8 commenity-build for mako it doesn't work. A blank page is shown instead.